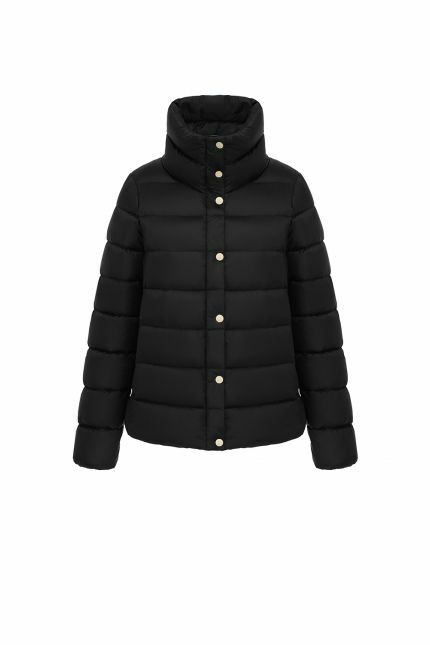 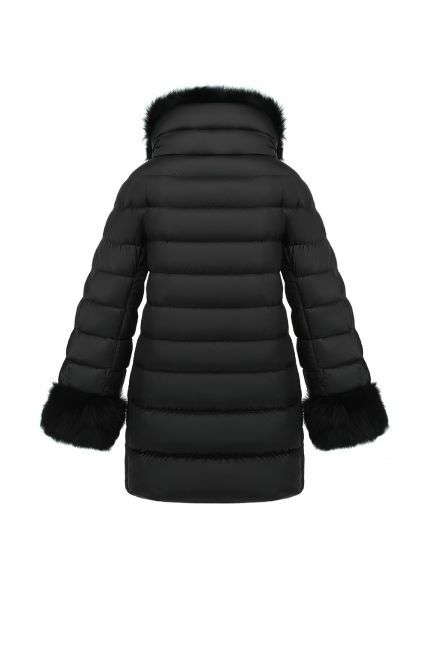 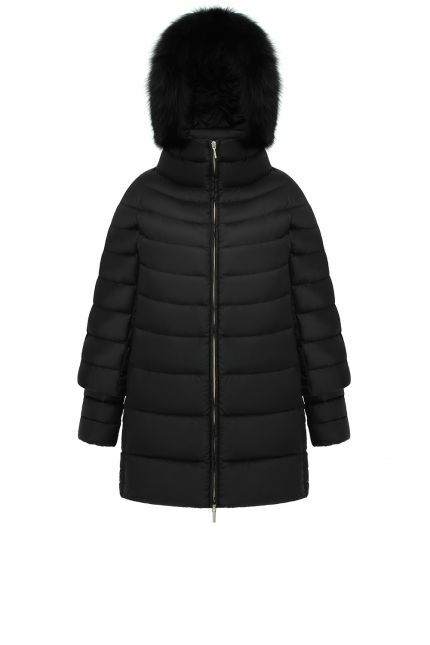 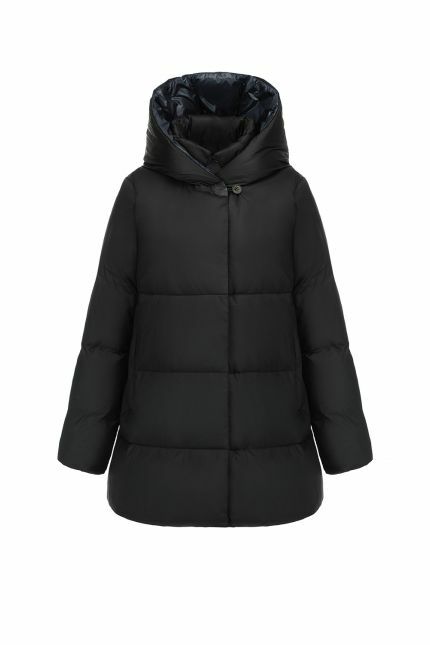 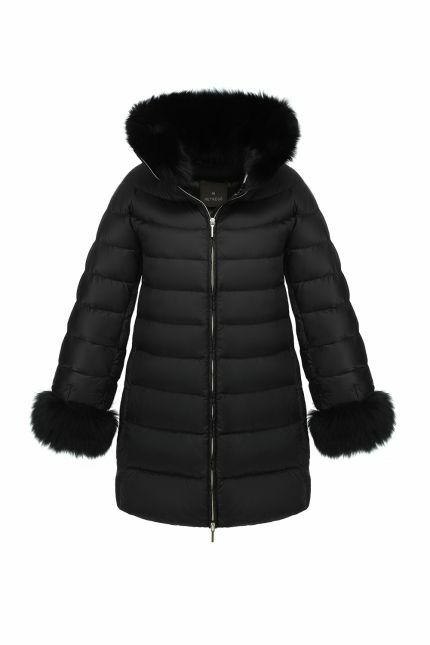 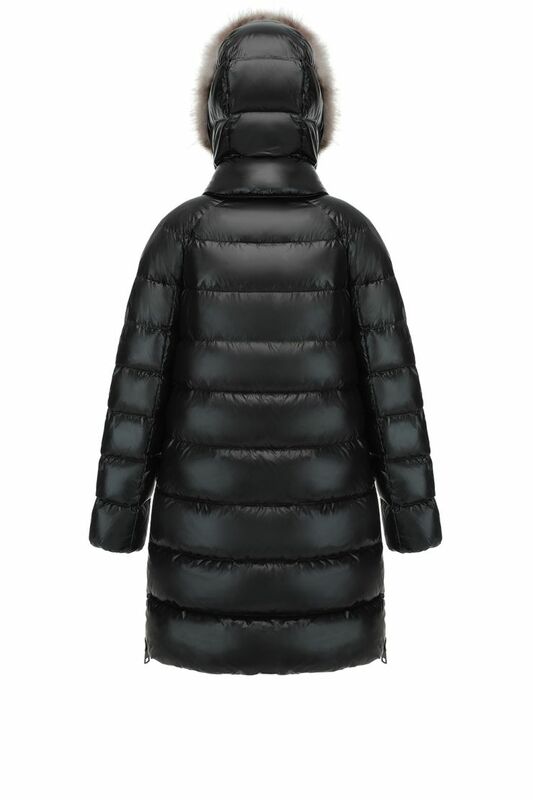 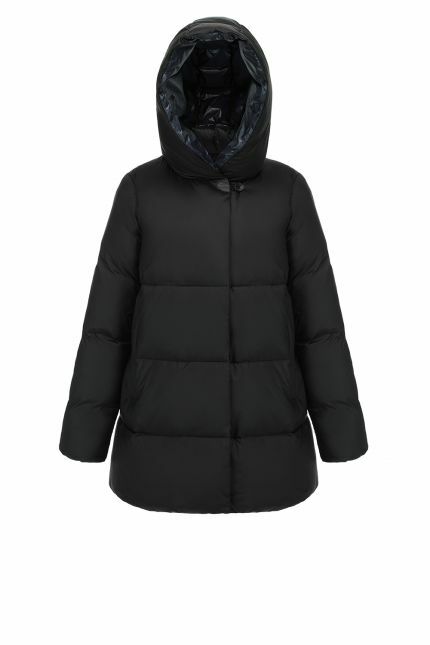 With its technical features such as the die-cast black zipper sides, Hetregó Isabel black down quilted coat can adapt to any situation. 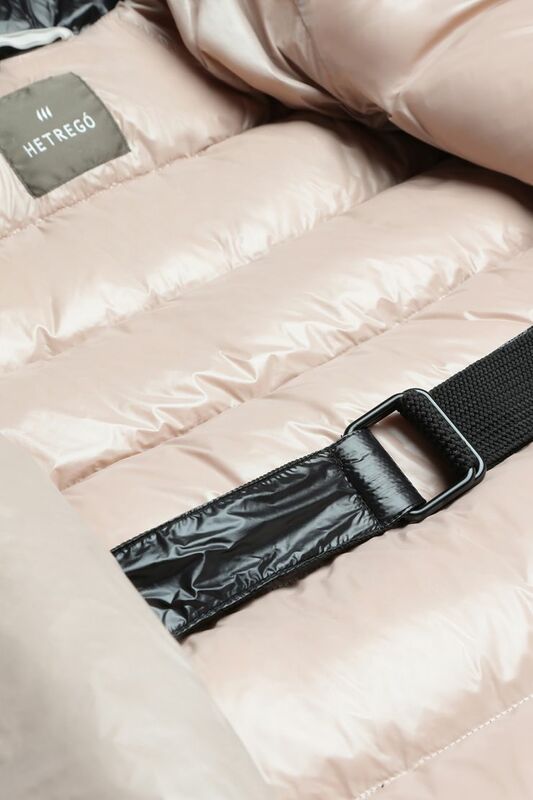 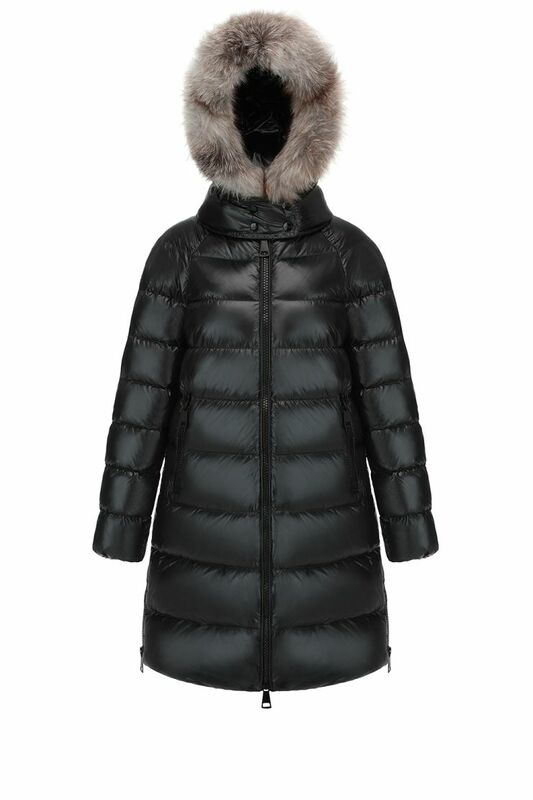 Made in nylon and padded in goose down, this quilted coat features a die-cast zipper front closure and two side zipped pockets. Snap the front closure for protection from wind while keeping your body heat insulated and wear the fixed hood if it starts raining. 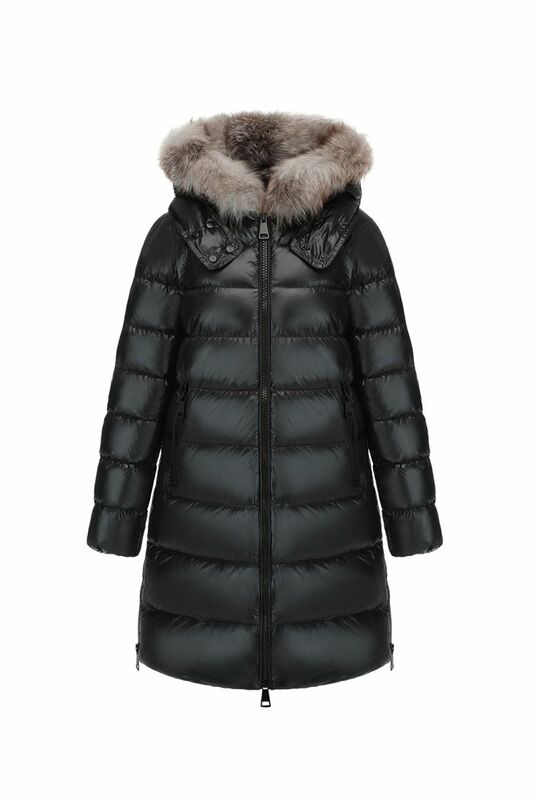 Avant-garde style and soft elegance shape the proportion of the silhouette, that can be redesigned adjusting the inner belt. 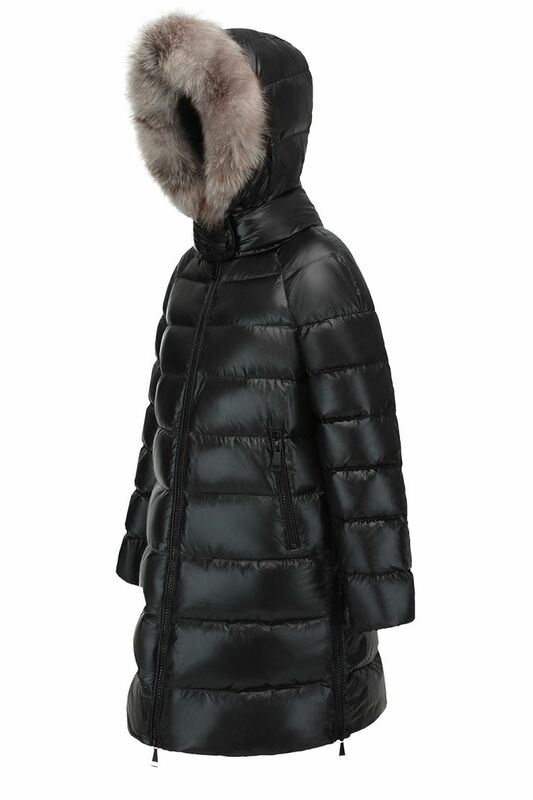 Windproof and water repellent, this down coat is knee lenght and is detailed with a frost fox trim hood and pink lining.